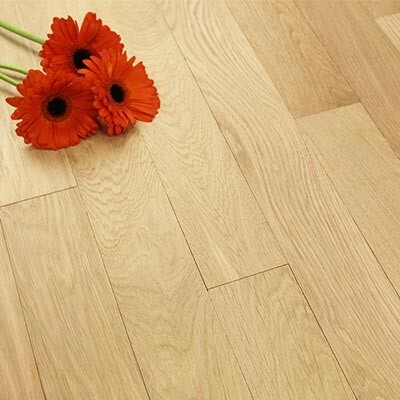 20mm solid hardwood flooring is a great choice of flooring. The planks are made from one solid piece of hardwood which has been carefully machined and sanded into the shape of a flooring plank. 20mm solid wood usually has a tongue and groove fitting profile which helps to create a secure and tight fit during and after installation. 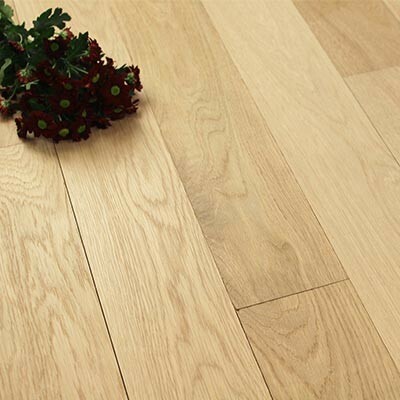 With this particular thickness of flooring you have a choice of species of wood, which can range from the pale tones of Maple to the more golden qualities of Oak. Choosing the species of wood for your flooring is an important choice as it determines the colour, pattern and grain of the floor. You will also need to think about the surface of the flooring, whether you would like a pre-finished floor that has been protected with lacquer and oil already, or an unfinished floor so that you can add the finishing touches yourself. 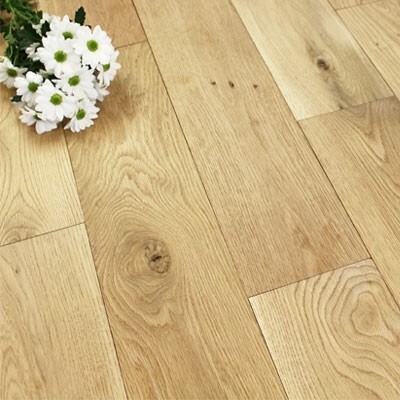 Solid wood flooring that is 20mm thick means that the total thickness of the plank of flooring, which is made from one solid piece of wood, will be 20mm. 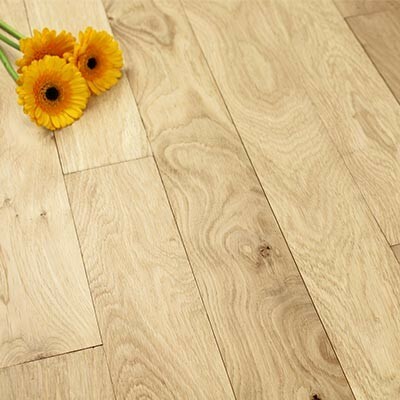 Why should I choose 20mm thick solid wood flooring? 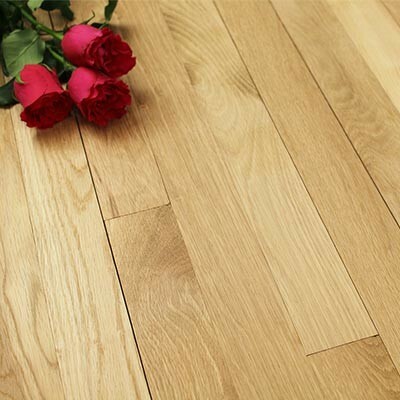 20mm solid hardwood flooring is a popular thickness of flooring. It can be installed into almost any room in your home, except anywhere with excessive water like bathrooms and en-suites. 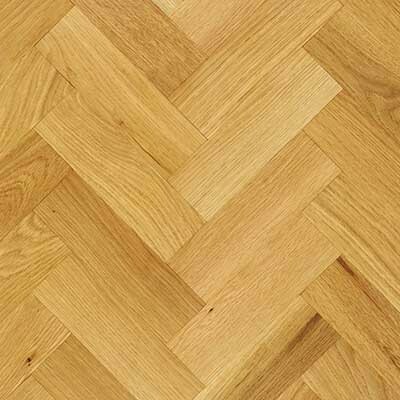 If you would like to learn more about the advantages of solid wood flooring, have a look at the following: The Benefits of Solid Wood Flooring. 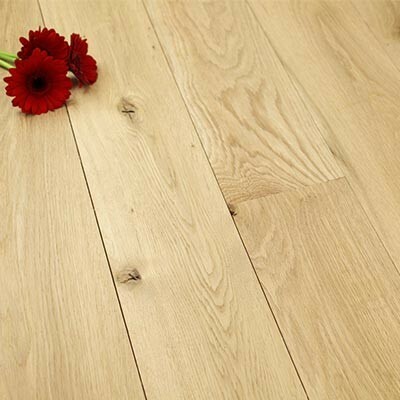 If you want to install your flooring directly over joists, then 20mm solid hardwood flooring is ideal. It is thick enough and strong enough to endure the extra weight and pressure associated with being installed over joists. Any thickness of solid wood flooring needs to be fixed directly down to the subfloor. You can do this by either using a flexible flooring adhesive to create a full surface bond, or by using secret nails or secret screws to secure the flooring into place. 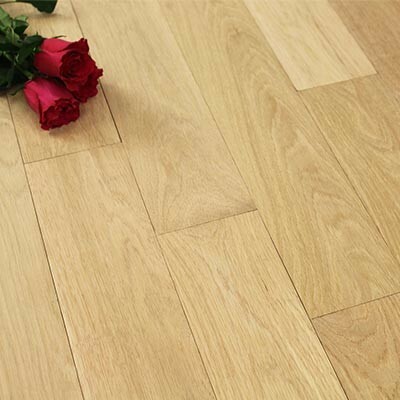 The particular installation method that you choose will usually depend upon the type of subfloor that you have. To find out more about installing your flooring, have a look at our Installation and Fitting Guide. 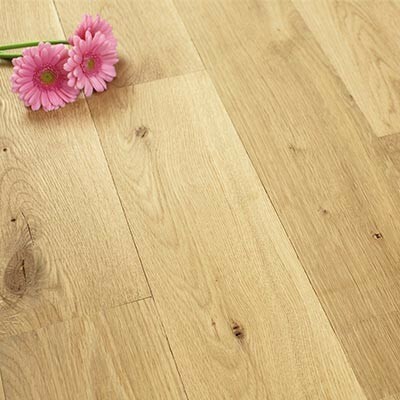 How do I maintain 20mm solid hardwood flooring? 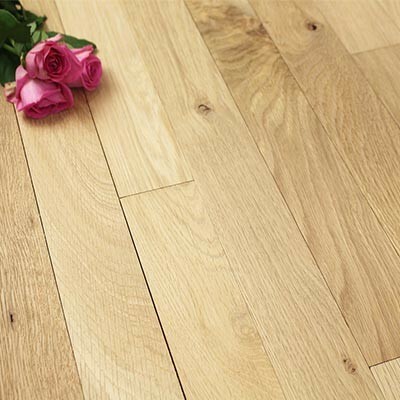 Maintaining the beauty of your new 20mm solid wood flooring is extremely easy. The most important thing is to adopt a regular cleaning routine, which will help your floor to stay dust and dirt free. Alongside a cleaning routine, you may want to take some preventative measures to ensure you avoid any unwanted dents and scratches to your floor. Simple steps like removing footwear and using felt protector pads on the bottom of furniture will help. For more hints and tip on cleaning and looking after your wooden floor, have a look at: Maintaining the Beauty and Shine of Hardwood Floors. Yes, we have a range of solid wood flooring, engineered wood floors and laminate floors in a variety of different thicknesses. If you would like any further help or advice about any of our floors or installation then please either contact us or come into our showroom where we have all of our floors on display. Did you know that you can order free samples of our flooring so that you can have a look at them in more detail at home.